Home › Enko Products Mini Composite Hdmi To Rca Cvbs Av Converter (Input: Hdmi; Outp..
Enko Products Mini Composite Hdmi To Rca Cvbs Av Converter (Input: Hdmi; Outp.. This Mini HDMI to AV Converter will convert HDMI video signal and 2CH audio signal to AV (CVBS) composite video and FL / FR stereo audio signals. 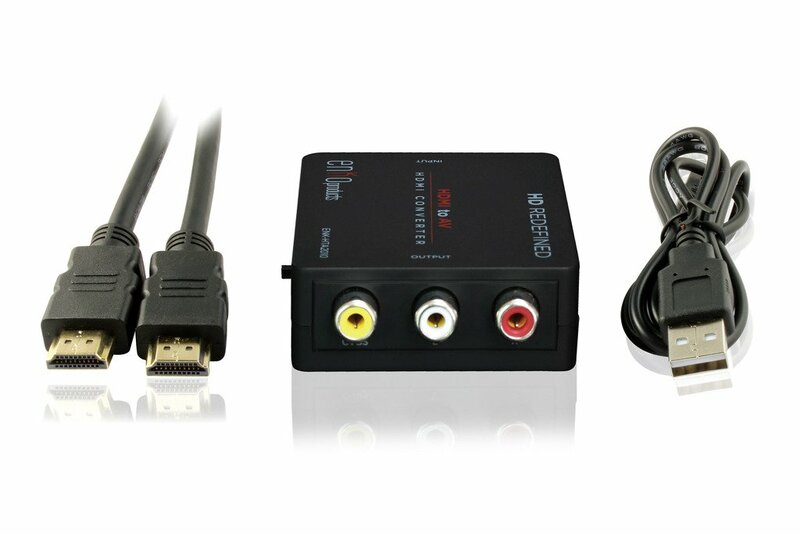 This helps convert the high quality of the HDMI signal into normal CVBS signal (standard-definition, NTSC 480i, PAL 576i) which can be played on TV, VHS VCR, DVD recorders, game console, etc. The unit is a compact, low power and high performance gadget and supports NTSC and PAL standard TV formats. May experience less than a one second lag. Will not convert audio only.